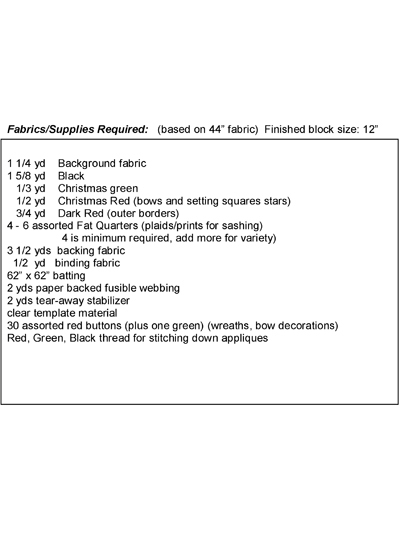 Make this beautiful holiday quilt! What a warm way to welcome friends and family to your home for the holidays! 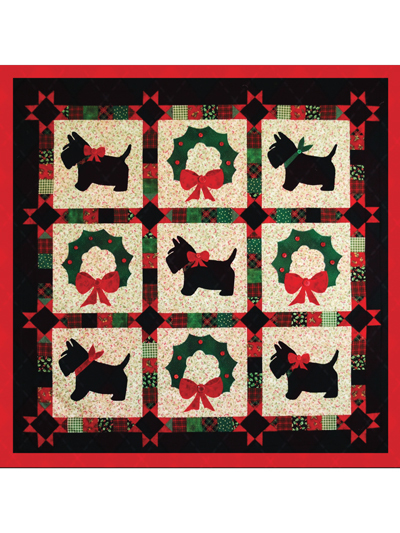 This quilt uses a collection of small holiday prints and plaids, a nice Christmas red for the bows, green for wreaths, and black for accents and the Scotties. The wreaths are embellished with cute red and green buttons. Quilt can easily be customized to any size. Finished size: 56" square. Moonlight Plume Panel with Metallic 24" x 44"